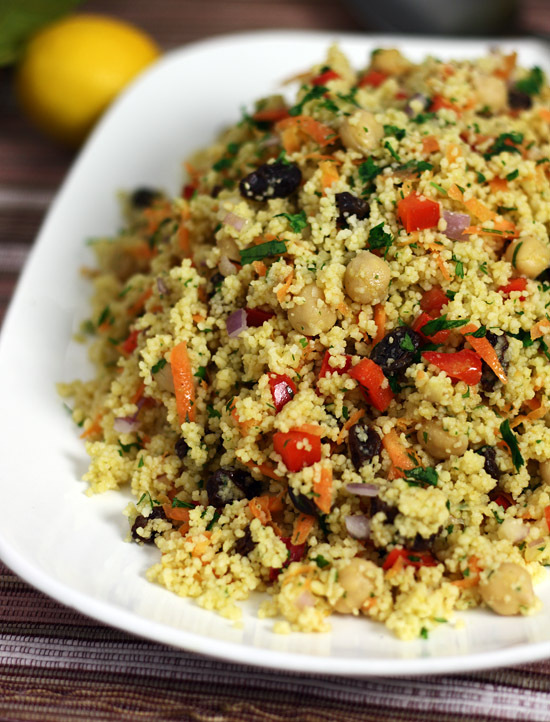 We’ve had such a positive response to this Moroccan chickpea and couscous salad. It’s one of those recipes that tastes really impressive but doesn’t use too many ingredients or involve too many steps. What’s more, it’s inexpensive and nourishing. It can be served as a side salad and makes a wonderful accompaniment to our Moroccan baked chicken. 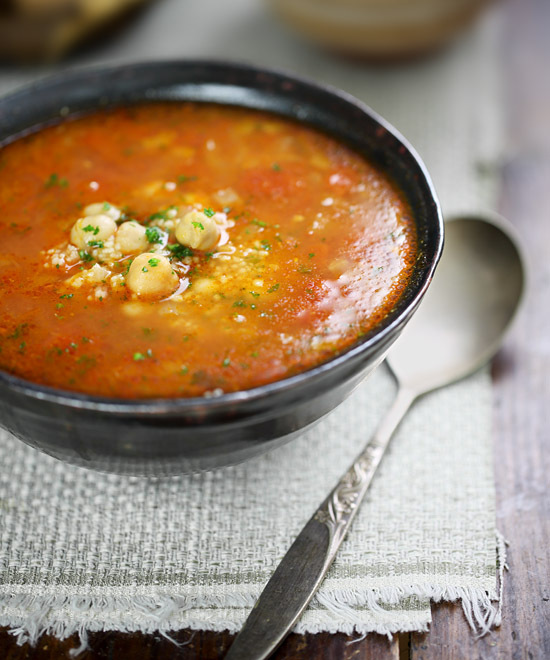 And between the couscous, chickpeas and vegetables, it’s hearty enough to be eaten as a balanced meal in itself. 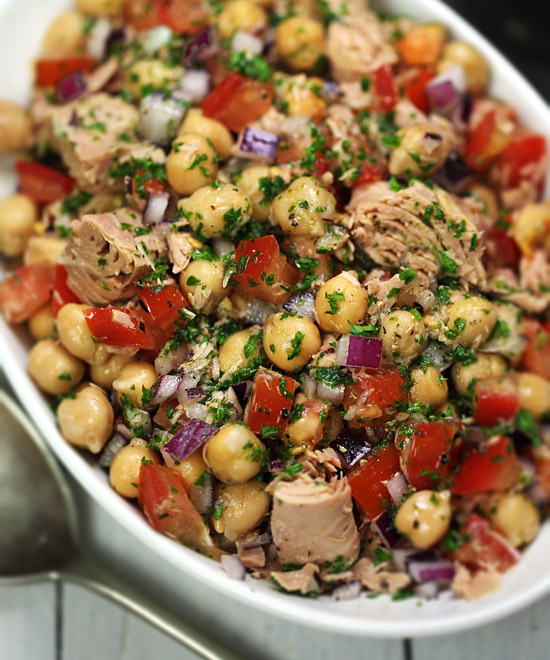 Chickpeas not only add a wonderful flavor and texture to this Moroccan salad, they’re a good source of vegetable protein and a number of important vitamins and minerals including calcium and folate. They’re also a great source of dietary fiber, which helps lower LDL cholesterol levels and regulate blood sugar levels. You can use canned or dried chickpeas, but if you use dried, you’ll need to soak them overnight and then cook them before adding to the salad. MIX the couscous with the raisins in a bowl and pour over the boiling stock. COVER with a dish towel, plate or plastic wrap to seal in the steam and let sit for 5 minutes. PLACE the oil, lemon juice, garlic, spices, and salt in a jar with a screw-top lid and shake to mix. FLUFF the couscous with a fork to separate the grains and stir through the carrot, red pepper, onion, chickpeas and parsley. POUR over the dressing and toss together until well combined.